An all communicating world, based on trust and security. vendor with over 20 years of experience. The company is, since 2014, listed on Nasdaq First North. The Nomination Committee proposes reelection of Staffan Dahlström, Jan Frykhammar, Bo Askvik and Viktor Kovacs and proposes Kimberly Matenchuk as new director of board. Viktor Kovacs is proposed as chair of the Board of Directors. Background: Kimberly Matenchuk is a Senior Director of Sales for General Electric Digital (GED). 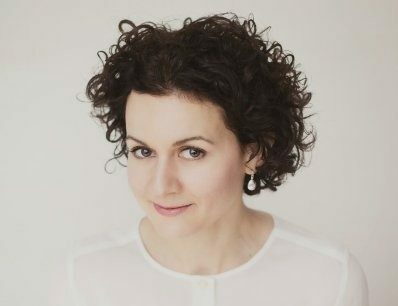 She has over 15 years’ experience in global and digital software sales (including 10 years at Google), developing and executing Go To Market strategies, delivering new global partnerships, and leading enterprise sales teams across Europe. Independent to the company and management: Yes. Independent to bigger shareholders: Yes. Holdings in Clavister: 0 shares. Elected to the board: 2017. Other Board assignments: EMFC Loan Syndications. Background: Viktor Kovacs has significant global experience in go-to-market strategy and execution with growth-stage companies in the ICT sector. Viktor has held executive roles in EDS Corp. (now HP), Octel Communications (sold to Lucent), Portal Software (now Oracle), Cisco, and others. Independent to the company and management: No. Holdings in Clavister: 10,000 shares and 50,000 warrants. Education: Bachelorof Science in Economics and Business Administration. Background: Bo Askvik is currently working as a CFO at Nynas AB and has previously had senior positions in companies such as Nordstjernan, Östgöta Enskilda Bank, Neste Corporation, Borealis AG, Sapa (previously Gränges AB), Intrum Justitia, Sanitec, PA Resources and Telia. Holdings in Clavister: 10,000 shares. Other Board assignments: KI Holding, KI Innovations, Jetty, Invisio Communications. 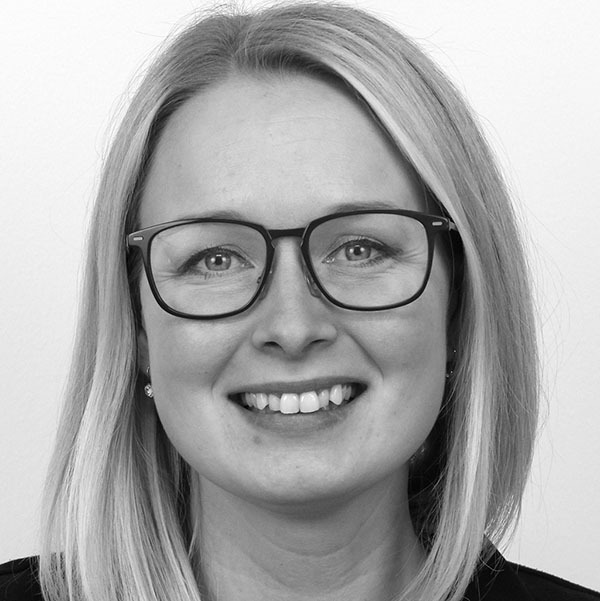 Background: Annika Andersson has an extensive experience from the financial industry from organizations such as the Fourth Swedish National Pension Fund as head of research, portfolio manager and as responsible for corporate governance, information, and sustainability. Education: Bachelor of Science in Economics and Business Administration. Elected to the board: 2018. Other Board assignments: Chairman of Openet, Kvdbil and Aspia. Director in Telavox and Roima Intelligence. Background: Jan Frykhammar has 26 years of work experience from various roles in Ericsson, being the Group CFO from 2009 and subsequently interim CEO of the Ericsson Group from July 2016 until January 2017. Holdings in Clavister: 29,941 shares. Education: Executive MBA and Computer Science studies. Background: Staffan Dahlström is since 2009 the CEO of HMS Networks AB (listed on Nasdaq OMX Mid Cap) and one of its co-founders. Holdings in Clavister: 224,536 shares. Education: Certified Upper Secondary School Engineer. Position held since: June 22, 2017. Board assignments: Board member of Örnsköldsviks Industrigrupp. Background: John Vestberg co-founded Clavister in 1997 and was imperative in the process leading up the release of the company’s first commercial security product, as well as a key driver in securing business with some of Clavister’s most important strategic accounts. Vestberg built up Clavister’s Research & Development department, and acted as the company CTO from 2003 until 2017, when he assumed the CEO responsibility. Before Clavister, Vestberg was a sole proprietor conducting IT consultancy projects for public administration as well as private firms. Holdings in Clavister: 457,520 shares and 150,000 warrants. Education: Master of Science in Business Administration and Economics. Background: Jenny Ramkrans has more than ten years of professional experience from small to large organizations within the public sector. She has a demonstrated history of driving and leading strategic and tactical projects within organizational development, structure, processes and compliance. Holdings in Clavister: 3000 shares. Education: Master of Science in Economics and Business Administration. Position held since: January 15, 2018. Background: Håkan Mattisson has more than 20 years of professional experience from the ICT sector as CFO and in other Senior Financial Manager roles, working for Logica, CGI, Affecto, DGC, SchlumbergerSema and Telia. Prior joining the ICT industry Håkan also has Audit and Business Consulting experience from Price Waterhouse. Holdings in Clavister: 5,000 shares and 70,000 warrants. Education: Academic Degree, Corporate Strategy and Finance. Position held since: November 15, 2017. Background: Seasoned manager with more than 20 years of operational, sales & marketing management and program management executive experience and large worldwide contact base. Managed established businesses, start-ups and several EMEA high growth market openings for Minolta, Lucent Technologies, Portal Software, Oracle, Central Europe On-Demand, Google and IBM. Experienced with program and project management, interim management. Previously chosen as advisor to the boards and CEO’s of large private and public organizations. Holdings in Clavister: 5,555 shares and 70,000 warrants. Education: Master of Science in Behavioural Science. Position held since: February 1, 2018. 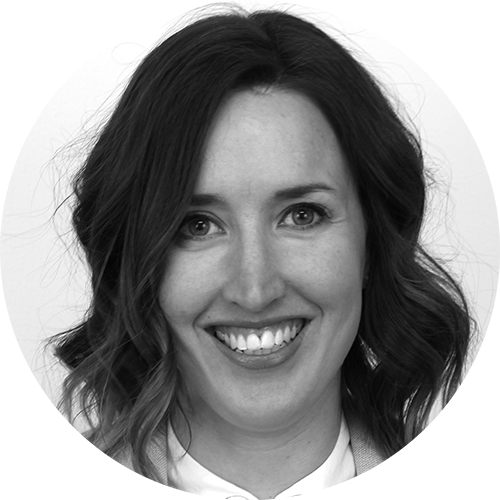 Background: Adrianne has several years of experience working with HR in global companies within the information technology, service and massmedia industry. Having a demonstrated history as business partner driving strategic and tactic HR projects in EMEA and Nordics for companies such as Thomson Reuters, Point Carbon and Sutherland. Education: Master of Science in Digital Media. Position held since: March 1, 2018. Background: Returned to Clavister in March 2018 as Chief Marketing & Products Officer after having roles as Commercial Manager Cloud at Aptilo Networks, Managing Director at Procera Networks AB and VP Product Management at Procera Networks Inc. Before joining Procera Networks held the position as VP Product Management at Clavister and several roles within the Telco Group 3, with focus on marketing, products and commercialisation. Holdings in Clavister: 50,000 warrants. Education: Upper Secondary School Diploma in Electronics and Data. Position held since: June 6, 2017. Background: Vice President of Sales, joined Clavister in 1997 and held several positions within the company, including Product Marketing Manager, Vice President of Product Management, Acting Vice President of Sales and CEO of Clavisters APAC division. Holdings in Clavister: 7,000 shares and 85,000 warrants. Position held since: July 1, 2017. Background: Joined Clavister in January 2016. Before that more than 20 years of experience in the IT sector, including project management, IT management, purchasing, business development, strategic planning, system development and general management roles. Has worked in many different industries, but specifically in the industrial sector and since 2000, in various leadership roles at international, national or regional level. Holdings in Clavister: 2200 shares and 80,000 warrants. For us quality is not a destination in itself, it is a journey. We have a constant focus on our market and what our customers need. This is how we are able to offer flexible products and service that meet both present and future customer demands. Giving customers products and services that they want and rely on for their daily business is a prerequisite for our business success. It is therefore crucial that every Clavister employee takes an active part in the continuous improvement of our products, services and operations. In 2007 we decided to get official recognition for our work and certify the company in accordance with the ISO 9001 quality standard. In early 2008 we received our ISO 9001 certification as an approval of our dedication to quality and process improvements. Scandinavia and Sweden have—over the course of the last ten years—become one of the hottest and most successful tech corridors in the world. In 2015, Sweden became the second most prolific tech hub in the world on a per capita basis, producing USD6.3bn in value per million people, compared to Silicon Valley’s USD8.1bn, according to a recent report from the investment firm Atomico. It’s a salute to Sweden’s innovation and tech savvy. Clavister, a Latin word meaning ‘Key holder’ came together by a union of chance in an unlikely Swedish place. Örnsköldsvik, located between Stockholm and the Arctic Circle, is blessed with natural beauty. But more importantly, it’s powered by an excellent university in Umeå that feeds its knowledge waters as well as an entrepreneurial spirit born of creating value and wealth from modest means. The Clavister story begins with entrepreneur Peter Johansson, who had founded an early Internet company, EnterNet Sweden HB in 1995. As it grew, the need for more equipment—namely a secure router—became mission critical. Johansson had joined forces with another software entrepreneur, John Vestberg, who, together with talented software engineer Mikael Olsson, quickly set about solving the problem. Together, they’d create a secure and fast router, something that took larger companies teams of staff and budget to achieve. In fact, they were developing an actual product that could be offered to the market, a device and code that could take on the security aspects of an always on Internet connection. It was an idea that could be sold to the world. Clavister AB was born in 2001 as EnterNet AB became the new company, founded by Johansson and co-founded by Vestberg, ready to see how far their ambitions could go. By 2002–2003 they launched their first physical appliance, a highly regarded firewall device that performed well in test after test. By 2008 the first virtual gateway was released, another critical technological milestone. Clavister’s reputation grew and European markets started to hunger for their products and services. Soon Asian offices were added. The development of their own, proprietary software – first cOS core and later its cOS stream solution—made the product into an award winning and industry respected leader in cybersecurity and digital threat deterrence. 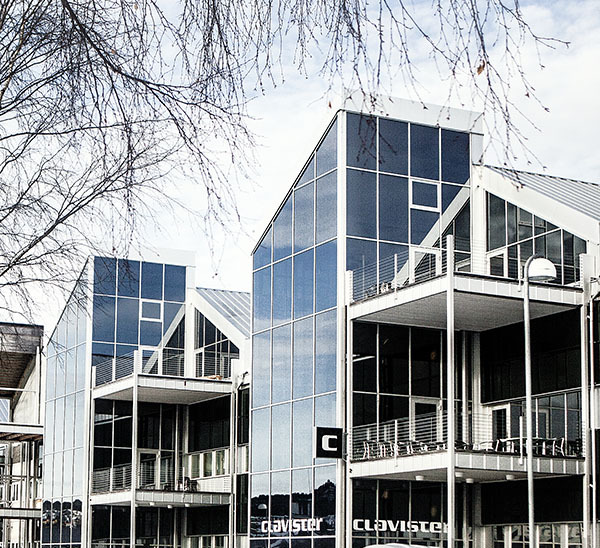 Investment and growth have helped put Clavister create an installed base of 20,000 customers with a 95% satisfaction rate and propelled it to be one of the few Swedish technology companies to be listed on the NASDAQ OMX Nordic exchange. It’s also achieved a formidable client list that includes Nokia, Canon, D-Link as well as collaborations with Intel, Redhat, VMware and others. It’s an almost 20 year history that has led Clavister to its present market position, a leader in virtual security with an eye to the future.